The Friday File: By requiring readers to understand characters’ motivations and intuit their feelings, reading literary fiction is highly correlated with, and possibly fosters, empathy towards others. 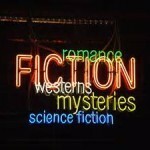 Moreover, fiction readers also have richer social networks than those that read less fiction. The key, a moving and transformative narrative. Forget the “Art of the Deal”, I’m reading “Lost Time” by Proust, which at 3,031 pages is considered the world’s longest novel. with respect to the several European countries that have been facing economic distress? Spain – was hit with quite harsh economic “medicine”, and seems to be quite the worse for it? Greece – the worst case, was also hit with very harsh “medicine”, and also seems to not be doing well? but still not anywhere as bad a dose of “medicine” as Spain and Greece were hit with — correct? to some of these countries were overly harsh, and if in fact some were possibly counter-productive, and have caused unnecessary hardship on those citizens? I’m hoping that there’s been some unbiased economic research and study conducted that ranks the severity of these several countries’ doses of economic “medicine”, and weighs in on when the severity of the “dose” becomes counter-productive instead of optimal or beneficial?